There are many basic regulatory requirements that manufacturers and importers consider when they market medical devices. These rules are to aid foreign governments to understand the overall mission of the FDA. In addition, there are FDA regulations for marketing and exporting medical devices to and in the United States. It is very important to know the requirements and to know which ones are applicable for your product. Establishment registration, device listing, labeling requirements, classification, Pre-market notification [510(k)], medical device reporting, and good manufacturing practices are all significant to manufacturers and importers of medical devices. Here are some of the aspects of these requirements. The Food and Drug Administration has the ability to touch the lives of almost every American each day. Most importantly, the FDA is a public health agency. They work to protect American consumers, by enforcing the Federal Food, Drug, and Cosmetic Acts, as well as several other related public health laws. The FDA makes sure that the food sold is safe and wholesome and even the cosmetics that get worn will not hurt the consumers. The medications and medical devices that get used by Americans are safe and effective because of the FDA’s approval, and the radiation-emitting microwave oven will not hurt anyone using it either. 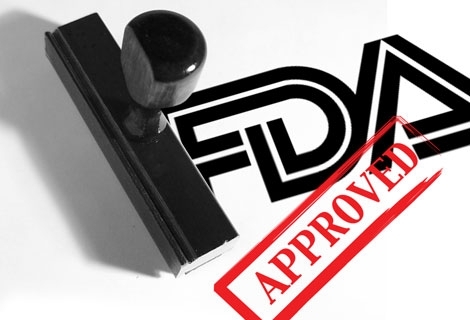 The FDA is one of the nation’s oldest consumer protection companies. Nine thousand employees keep track of the manufacture, import, transport, storage, and sale of one trillion dollars’ worth of products each year. FDA’s inspectors and investigators visit over 15,000 manufacturing facilities each year. As part of the inspections, they collect 80,000 domestic and imported samples of products, which members of the FDA examine. When a company violates any law that the FDA enforces, the FDA encourages the firm to correct the problem voluntarily. If a company will not correct a public health problem with one of their own alternatives, the FDA may look for criminal penalties, including prison sentences against the manufacturers and distributors. There are roughly three thousand products found each year that are unsafe and unfit for consumers and end up taken from the marketplace. The companies 2,100 scientists prepare the evidence that they need to back up the FDA’s legal stance. This includes 900 chemists and 300 microbiologists that work in 40 labs in the Washington D.C. area. Some of these scientists analyze samples. Other scientists will review the results submitted by companies seeking agency approval for vaccines, drugs, additives for food, coloring agents, and medical devices. These scientists work hard to make sure that the consumer receives only the best products that will not harm them in the long run. The FDA also operates the National Center for Toxicological Research. They investigate the biological effects of widely used chemicals. They also run the Engineering and Analytical Center that tests medical devices, radiation-emitting products, and a radioactive drug. Most of these types of products cannot be sold in America if they do not get the approval of the FDA. Assessing risks that might be part of a medical devices use is another important role the FDA plays in regulating medical devices. Weighing risks against benefits is at the core of FDA’s public health protection duties. By making sure that products and producers meet certain standards, your clients will get a better quality of care. The products that patients take are safe and well tested. The medical devices that are used and even put inside patients’ bodies have been rigorously tested by the FDA to make sure they are working correctly. The FDA plays a huge role in regulating medical products and devices to keep the consumer healthy and safe. They pass laws and set regulation regarding many of America’s products. For more information, the FDA’s website has many articles and regulations that you can get information about any time you need.